The problem that exists in every relationship would be solved instantly IF everyone forgives! But...let us be honest; not everyone forgives. Forgiveness is unfair. Human nature demands retaliation, justice, rights and fairness. If a car accidentally crashed and damaged your parked vehicle, would you just let it go or would you demand justice? If you are mistreated, will you not demand your rights? Can you just let anyone abuse your rights, mistreat you or take your property without a fight? Where do we put forgiveness in this context? The word forgiveness is so unnatural. The natural tendency to pursue revenge can overwhelm us in times of tragedy, hurt, pain, abuse and injustice inflicted on us by others. Forgiveness is good for your emotional, mental and spiritual health. When you forgive others it is for your own benefit and not for the offender alone. If you harbor hatred, bitterness and revenge, you become a prisoner kept in the cell of your own past. When you forgive, you set a prisoner within. When the offender asks for forgiveness and you withhold for the purpose of revenge, you actually hurting yourself. You think you are punishing the other person, but the person are actually punishing and hurting is you. Trying to punish someone else by withholding forgiveness is like strangling yourself with your own hands. 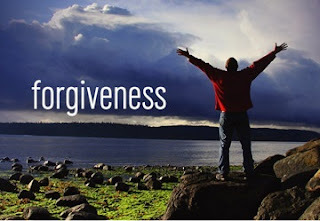 The only remedy left to unloose your hands around your neck is forgiveness. When you release that grip, you set yourself free. Forgiveness is necessary because of things committed in the past but connected to the future and controlled in the present. The cause of your pain and hurt was done in the past, but you have the power today to heal the pain so that you will have a better tomorrows. Tragic experiences have the potential to destroy both the present and future if they are not forgiven. To forgive is to leave the past and to forgive is to live in the future. When we forgive offenders, we release ourselves from the grip of the past and resolve to gaze at the future with faith and hope. Forgiveness is an act of faith. The Creator knows why it is important to forgive. Obedience to His command matters to Him. Your relationship with Him and with others is maintained by the act of forgiveness. If forgiveness is a command, it doesn't matter whether or not we feel like forgiving. Forgiveness is not based our feeling but by faith in obedience to the Word of God.